At Temple Israel & JCC, we offer engaging youth programs for middle school and high school students. Informal Jewish education—social and cultural programming outside of a formal classroom setting—helps build identity, instill values and nurture lifetime connections to community. Our youth group chapter, FLIPPER (Fair Lawn/Paramus/Ridgewood) is co-sponsored with other local Conservative synagogues, enlarging our teen and pre-teen community and offering our youth greater social opportunities. The FLIPPER chapter is part of USCJ’s New Jersey Hagalil Region, offering monthly programs throughout northern and central New Jersey. During the summer, Kadimaniks and USYers have opportunities to participate in USY’s national and international travel programs as well as Hagalil’s weeklong encampment program. Temple Israel & JCC’s youth groups are open to all Jewish youth in the community regardless of synagogue affiliation. For membership information, click on the appropriate link below or contact our Youth Advisor Revi Glasser at youth@synagogue.org. Kadimaniks get together at Temple Israel and other chapter synagogues each month to hang out, play games, watch movies, and have fun under the supervision of the FLIPPER Kadima Advisor, a hired professional. Their calendar also includes age- appropriate outings to local venues; these have included an amusement park, a trampoline park, ice skating, mini-golf, a pool party and more. As part of their programming, Kadimaniks undertake various social action opportunities throughout the year and celebrate some of the Jewish holidays together, having fun as they learn Jewish values. Our Kadimaniks also participate in Hagalil regional programming such as day trips, Shabbatons, weekend conventions as well as a Kadima only weeklong encampment each summer. Click here to download the Kadima membership application. Our FLIPPER USY chapter is youth led with its own board, which plans a full schedule of activities under the guidance of an experienced USY Advisor. Once a month, the board meets to construct and implement social opportunities which can include holiday celebrations, tikkun olam and even a little educational programming. The USY board has planned scavenger hunts, video game tournaments, pool parties, lock-in overnights, a Harry Potter-themed Shabbat dinner, day trips and more! In addition, our USYers look forward to monthly regional Hagalil activities including dances, Shabbatons, weekend long conventions, and other fun events. All high school students are invited to help plan FLIPPER USY activities. 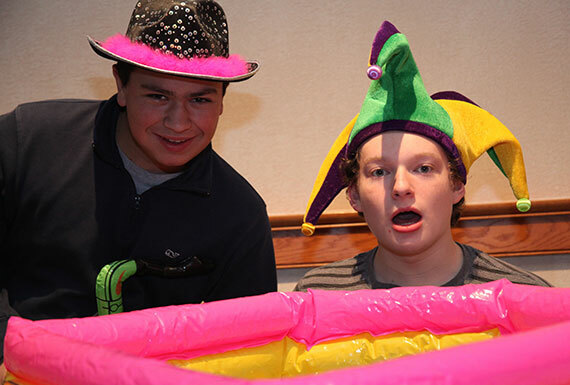 USY builds lasting friendships and memories—join the fun! Click here to download the USY membership application. A Youth Committee, chaired by a parent volunteer, oversees our youth programming. It meets to discuss relevant issues, brainstorm for new activities and programming, and provide guidance and direction to the youth advisor hired to organize and implement youth programming. Joining the Youth Committee is a great way to become involved in providing opportunities for Jewish living for your children or grandchildren. Contact the Temple office (office@synagogue.org or 201-444-9320) and ask to be put in contact with the Youth Committee Chair.